Will the Invi-Tuck work for a big guy? 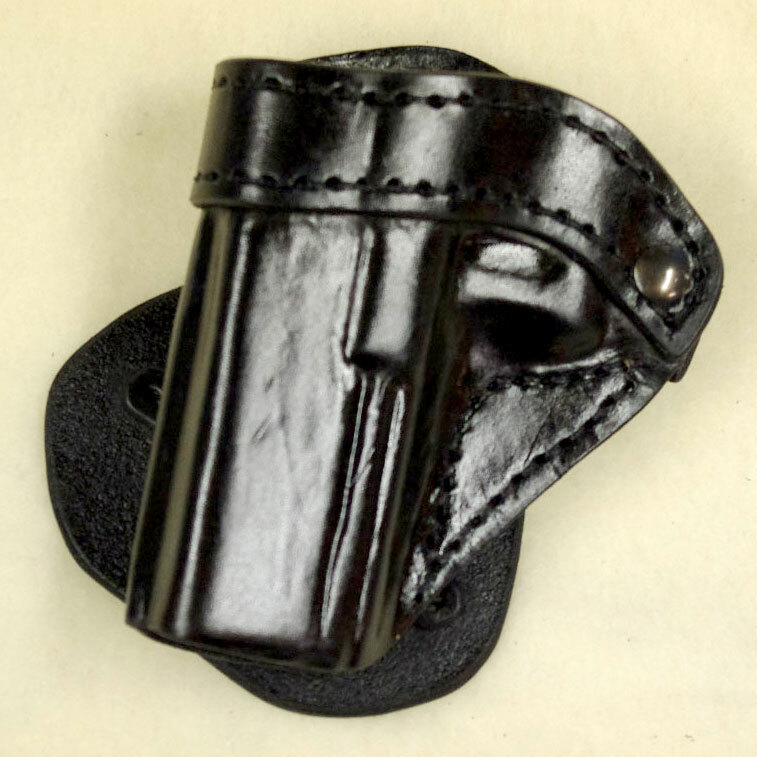 Home » CCW Tip of the Week » Will the Invi-Tuck work for a big guy? Question: I’m a big guy, so chaffing is a concern, I would like to have the larger Back Plate. 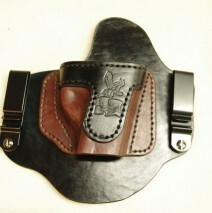 I see in step 9 of how to make the holster that you seal it for moisture. I live in a very humid area during the summer and have had luck with horsehide. 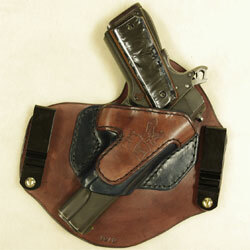 Do you offer horsehide or do you believe your moisture sealing is sufficient? I do know that the horsehide has been very comfortable for me. 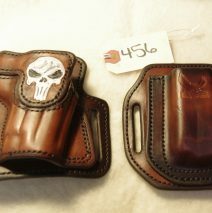 I will happily make the holster with a larger back plate. I do not currently offer Horse Hide. 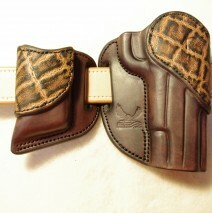 I can not find a domestic source for the hides. I would have to import them from China. 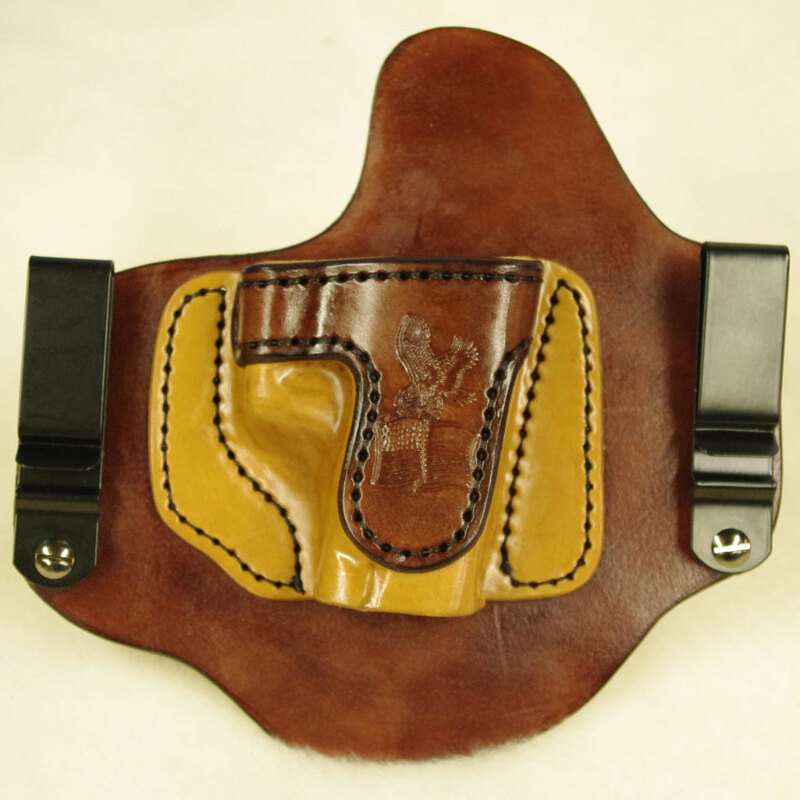 The sealing process works well but with any leather holster if it gets to wet it will absorb the moisture if this happens just let it air dry before use again. Do you have invivi-tuck holster for a walther P22 with a factory laser sight that is mounter fowar of the trigger guard that will protect the laser switch? How long to deliver? I can make the Invisi-Tuck for the P22 with the factory laser. Delivery is based on order backlog. Currently we are running around five weeks as of today’s date 9-20-11. 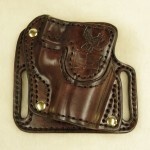 Or like me you can pull your briefs up to lay under the holster. Be sure they are not too tight.